This is a Premium Christmas Selection Case containing 12 bottles. It is full of Premium wines & Bordeaux Superieur Red & Whites for the fire and the family this Christmas, and particularly Christmas Day. These wines have been imported especially for this year’s Christmas case, in order to offer you the best value and fine wine for the Christmas Table. All wines have been chosen for their outstanding quality, and their ability to individually enhance an occasion this coming Christmas. There are 12 bottles in the case and with them, 12 opportunities for these wines to enhance your Christmas. We have included Food Matches for each wine, so you’ll know when best to serve it. Furthermore, we’ll include tasting notes with every single case, so you can impress and discuss the wines around the table this Christmas. This will make a Superb Christmas present and we’ll include a complimentary gift card with your message if you are buying for a present. Going to someone else’s house for Christmas dinner this year? Send the case to them ahead of Christmas Day. You also get 2 Free Tickets to the WineOnline.ie Christmas Fair on Wednesday 16th November 2016 from 7 – 10pm in Clontarf Castle Hotel, Dublin 3 with this purchase. If you plan to visit the wine fair, Call WineOnline.ie (01- 8867740) and we will email your tickets in advance when you purchase this Christmas Selection Case. WineOnline.ie annual Charity Wine Fair 2016 is in aid of St Francis Hospice Raheny. All wines from the Christmas selection will be available to taste at the Christmas wine Fair and further discounts will apply to wines bought on the night for delivery at Christmas. 1 x Pencarrow Sauvignon Blanc, Marlborough, New Zealand varietal that won a Gold Medal at the Air New Zealand Wine Awards. 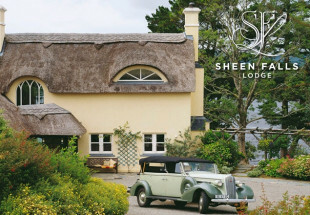 It is new to Ireland and is made by the infamous Palliser Estate Winery, one of the founding 10 wineries in Marlborough. The vintage is 2015 and it is vibrant, fresh and bouncing out of your glass. Food Match – Smoked Salmon, Prawns or Aperitifs on Christmas Day. 2 x Chateau X de Baillard Bordeaux Superieur from award winning winemaker Rémi Ballarin. Bronze Medal Winner at the Concours Général Agricole de Paris 2013. We got our hands on a limited amount of it and it will make a beautiful gift this Christmas. Food Match: Have these Reds with Christmas Dinner, open both bottles 3 hours before dinner, leaving the corks out for aeration. 1 x Donini Prosecco - recommended by Decanter Magazine as the choice prosecco for Christmas day in an article published just before Christmas 2015. Donini is different to other Proseccos for many reasons - The soil that the Glera grapes are grown in are primarily Limestone and clay, and the climate is a little warmer than other Prosecco producing areas. The result is a Prosecco that is richer and drier than in other areas and this one is full of flavour. It is made in the Frizzante style and it is buttery, with pear, melon and apple flavours. It is crisp, dry and refreshing, which is the style that our market enjoys in Ireland. It is housed in a screw cap closure for maximum freshness, meaning there is not a spago cork style closure on this bottle. Bubbles are a must at Christmas. Food Match: None needed but you could pair this with nibbles; Smoked salmon Pate and Chicken Liver Pate. 2 x Chateau La Galante Entre deux Mers, a Sauvignon Blanc and Semillon blend. Serve this with smoked salmon over Christmas for a superb food match. A great alternative to Sauvignon Blanc for Starters this Christmas. It's a Gold Medal Winner from the Guide Hachette Des Vins. Food Match: These are the Christmas Dinner Whites, great minerality and freshness, with creamy textures that will work superbly with turkey. 1 x Domaine Montarels Barrel Fermented Pinot Noir, made by qualified Oeneologist Fabienne Capello at her estate in Alignan, France. It is a Burgundy style Pinot Noir and a better match for Turkey you will not find. Great to try in advance of Christmas, try with Chicken or white meat, the weight of food and wine together is perfect. Just Released so Scores have not been released by the major wine critics. Food Match: For fans of lighter red wines, Pinot Noir will work really well with Christmas dinner. Otherwise this will work well without food. Food Match: This is one to truly savour with a cheeseboard over Christmas. 1 x Domaine Montarels ‘I Care’ Barrel Fermented Chardonnay - Made in the Burgundian style with minerality and subtle oak, and fermented in Barriques. When Dhanya and Nova Collette bought the Montarels property in 2005, the grapes from the vineyards had been sold to the local co-op for generations. Trusting in the quality of their fruit and in modern winemaking practices, the couple released their first vintage in 2007. Since then the venture has gone from strength to strength in a not so well known, up-and-coming region that typifies the emergence of the Languedoc Roussillon region as a whole. WineOnline.ie work with Dhanya and Nova and proudly import their wines. This is wonderful Chardonnay to enjoy with or without food. Food Match: Creamy Chicken or Pork dishes – One for the week before or after Christmas, when something delicious is required. 1 x Santuario Malbec, Mendoza, Argentina - What Christmas case of wine would be complete if it didn't comprise a rich Plum, blueberry and blackcurrant Malbec from Argentina, with plenty of complexity and a harmonious finish. This Malbec was imported especially for this Christmas Case with a little spare, knowing demand will soar once it’s released. It simply delivers great flavours, excites the tastebuds and will work great with food. Food Match: Beef Wellington, Beef & Guinness Casserole, Smokey BBQ ribs or hearty Angus fillet steaks. 1 x The Accomplice Shiraz – Riverina . This Shiraz was picked in parcels, selected at different times of the season by the winemaker, Steve Webber for their fresh berry characteristics which is notable in the style of the resulting wine. De Bortoli are one of the rare Family owned wineries left in Australia and they produce premium, high end wines that always deliver. At recent WineOnline.ie Wine Club tastings, this Shiraz was selected as the best wine of the night, twice. Food Match: Roast rib of beef, Roast Chicken or Pork or Crackers and Blue Cheese. 1 x Torres Ibericos ‘Crianza’ – Spains most awarded wine producer, their Ibericos Crianza is part of their premium range. It is rich with peppered fruit, with a great balance of integrated vanilla flavours from adequate oak ageing. One for the Fire and the family this Christmas. It won A Gold Medal at the Drinks Journal UK show in 2014 and another Gold medal In the Dallas Wine Show in the USA as well. It consistently gets above 90 points by Wine Enthusiast and Wine Advocate magazines as well – It is also the biggest selling Rioja in Ireland at WineOnline.ie. Food Match: No Food Required…. Grab a cold evening, a blanket, great company and a slightly warmed bottle of this – the warmth, will draw out Christmas flavours of Juniper, Vanilla, Cassis, smoke and leather. WineOnline.ie will open their annual Christmas Wine Warehouse for 2 days only in Santry on Saturday December 10th and 17th 2016 from 10am – 5pm. Expect great wine deals, 30 wines on tasting, mulled apple juice, mince pies and Christmas cheer. Located just off the M50 in Dublin 9. There's plenty of parking and discounts for bulk/ corporate gift orders. Wine is a great way to gift employees at Christmas - WineOnline.ie offers 10% discount on all vouchers bought by companies for staff utilising the Non cash tax free bonus scheme introduced by Michael Noonan in 2015. 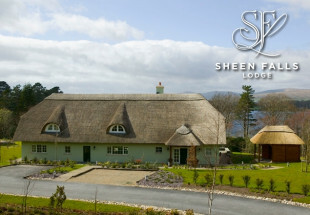 Contact WineOnline.ie on (01) 8867732 for further details. WineOnline.ie also accepts One For All vouchers. Voucher redemption period is from close of offer until November 25th only. 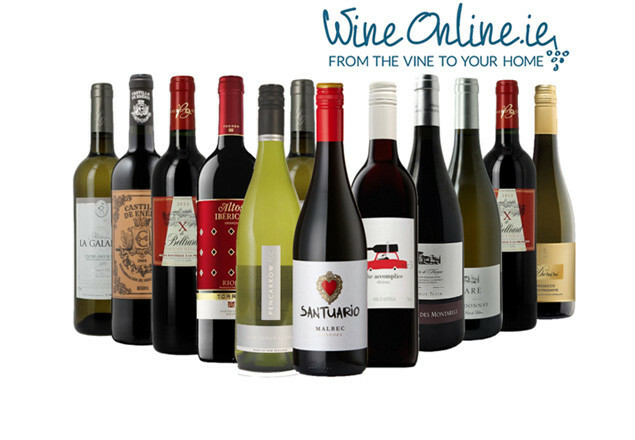 When you redeem your voucher at WineOnline.ie, you can add a gift message to your order. There is no cash value for Charity Wine Fair tickets and no refund will be offered if redemption is later than the date of the wine fair. Wine Fair Tickets are valued at €20 individually and the fair is on November 16th 2016 from 7pm – 10pm. Add the Christmas Selection case to your basket and go to checkout. After you enter your billing address and shipping address, you will be prompted for a discount code. 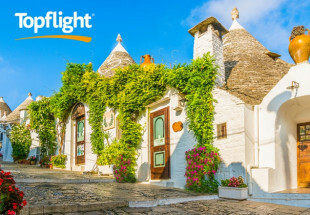 Copy and Paste your voucher code here. Your voucher code will reduce the cost of your order to €0.00 in your shopping basket, leaving you to submit your order at no extra cost. Complete your order and your wine will arrive in 5 working days once ordered before December 3rd. Orders received after this will arrive in January 2015.